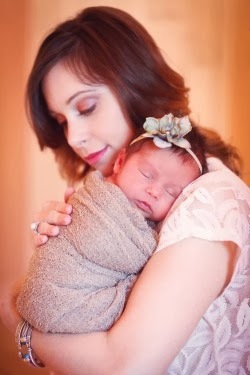 "I prayed for this child, and the Lord has granted me what I asked of him. So now I give him to the Lord. For his whole life he will be given over to the Lord.” And he worshiped the Lord there." 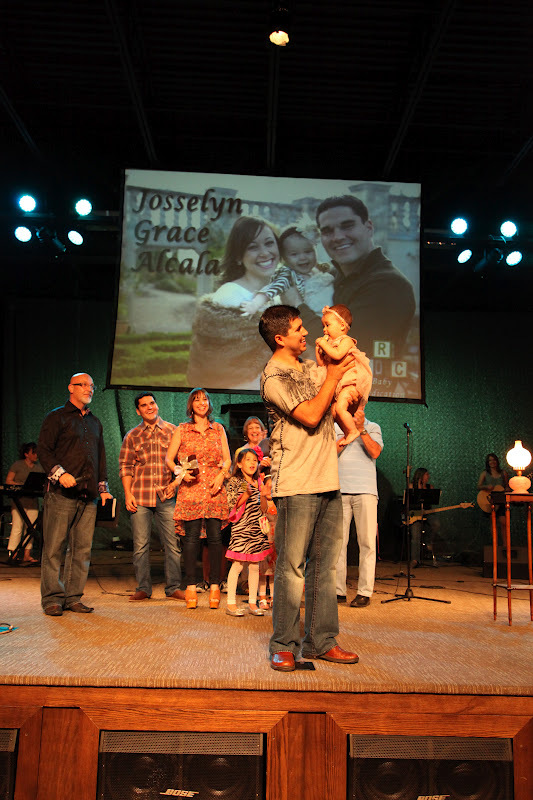 Now I must give you all a little recap of Josselyn's beautiful dedication service! Since John & I are the college/young adult pastors it was only appropriate that she be dedicated at our college/young adult service "Invictus" at Relevant Life Church. 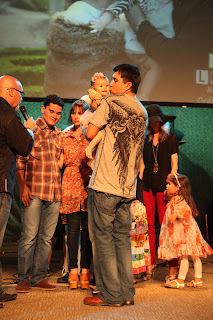 There were many things that made this service special. First of all, when I was 18 years old and a 1st year student in Masters Commission Bible School I was baptized by Pastor Lloyd Zeigler & Pastor Joey Alcala (who is now my brother in law). A few years later those same two special men Pastor Lloyd & Joey married John and I. 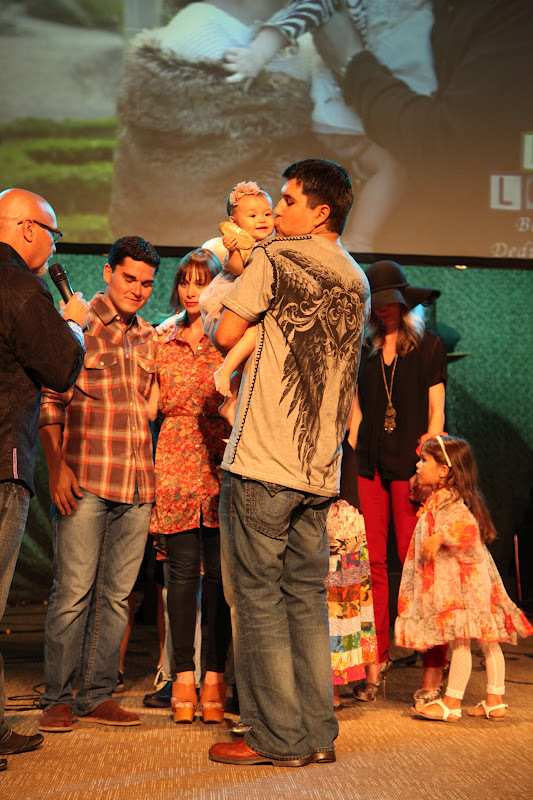 Almost exactly 10 years later from when I was first baptized I had the honor of having once again Pastor Loyd & Joey dedicated my daughter. It could not have been more perfect. 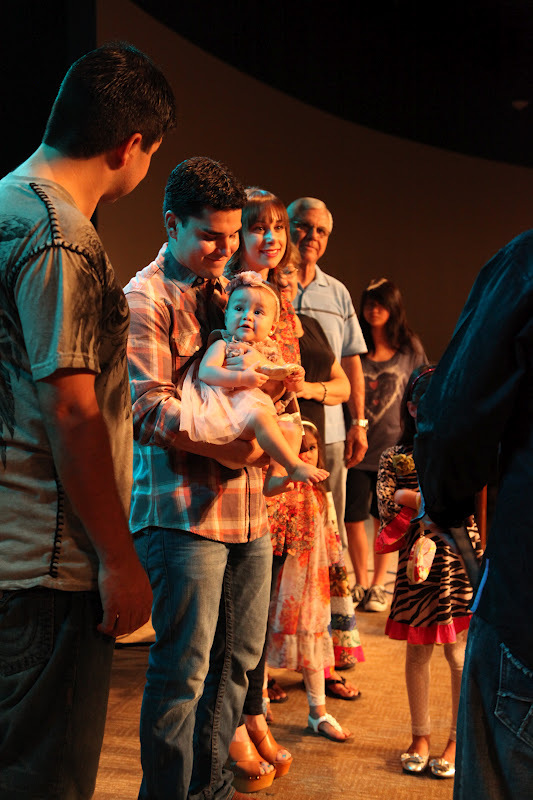 Another very special moment in the service was when Joey spoke a beautiful word into Josselyn's life. 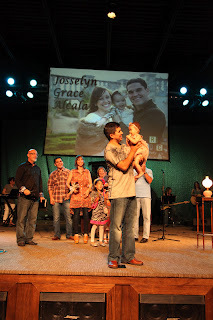 Joey said that as he was praying for Josselyn the Lord gave him the word "illuminate" to speak over Josselyn's life. 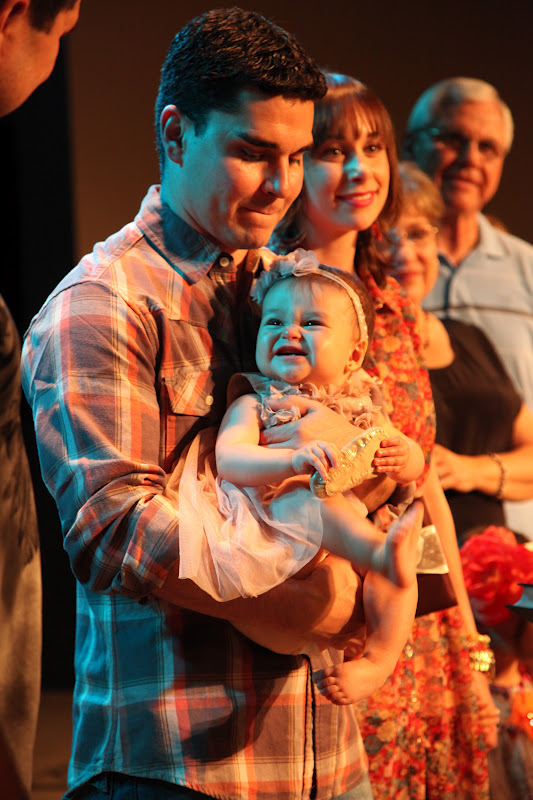 Joey talked about how she already illuminates a room and as she grows up, she is going to be a light who ILLUMINATES for Jesus every where she goes. I really feel like that is the perfect word to describe my shining little Josse who already lights up so many people's lives! 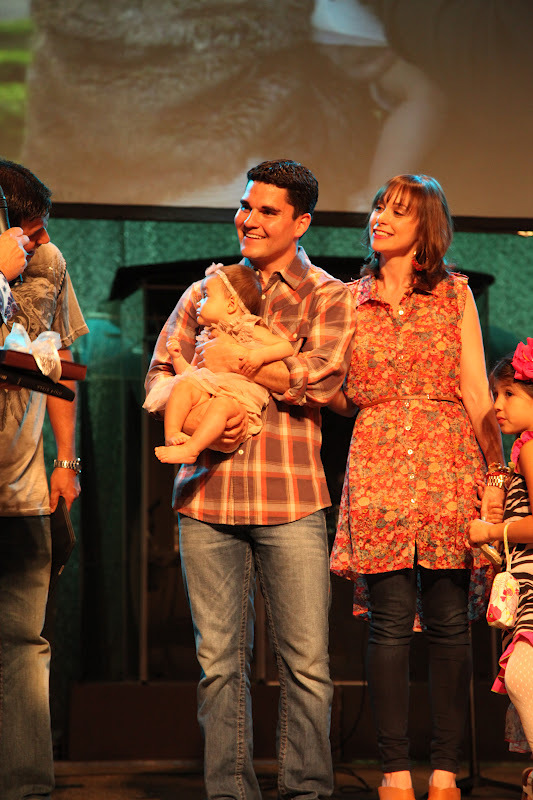 Joey then gave Josselyn a gorgeous antique pink lamp, so that she can always remember the powerful word that was spoken over her life at only 8 months old. 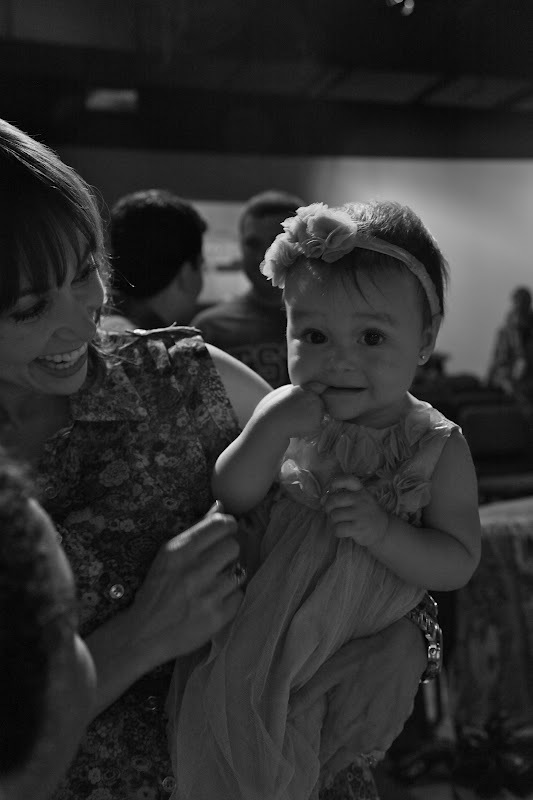 My prayer is that my daughter will always be a Light for Christ where she goes. The last special thing that I need to mention is the fact that not only did Josselyn have her mom & dad there to dedicate her, but both of her Grandmothers were there (my mom "Yaya" & John's mom "Gigi") and Josselyn's grandfather "Papa" was there along with my sister MaryBeth, Johns brother Joey (who dedicated her), his wife Auntie Stacey and their 2 daughters Isabella & Alexandria. 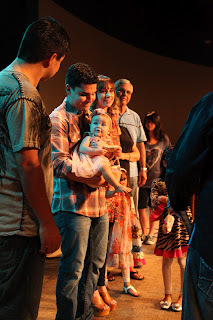 Plus tons of other very special adopted Aunties & Uncles from church ;) Josselyn is a blessed little girl to have some many incredible people who love her in her life. 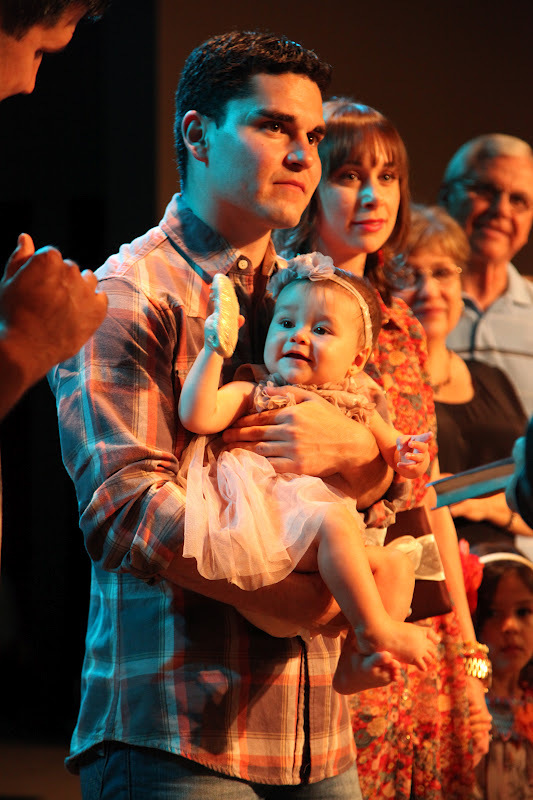 That about sums up Josselyn's baby dedication. It was a beautiful day I will always remember. I am so blessed to have that little girl in my life and while she is young I commit to raise her and train her in the things of God and as she grows older I vow to never stop praying over her. Proverbs 22:6 "Train up a child in the way he should go and when he is old, he will not depart from it."